TAKE THE SCENIC ROUTE AND CHASE SUNSETS. LISSOM’S INTEGRATED LIGHTS INSPIRE CONFIDENCE AND SAFETY EVEN AFTER DARK. Crafted with our lightest and stiffness ALUXX SLR aluminum frame, Lissom delivers a dynamic ride quality for all your trekking adventures. From city streets to remote roads, it features comfortable, confident rider positioning with a focus on speed and efficiency. The composite fork and D-Fuse seatpost combine for road-smoothing comfort and precise handling. Tubeless wheels give you added rolling efficiency, a smoother ride, and a reduced risk of flats. 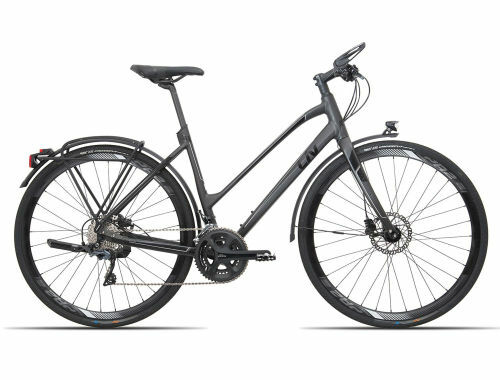 And a number of smart accessories, including the Busch & Muller light system and versatile integrated racks, allow you to choose your own adventure and extend your journey as far as your legs will take you. And the integrated bar ends allow you to modify your positioning depending on riding style and terrain. Comfort position to put riders in a relaxed, comfortable position. Modernized smart-mount rack system makes it easy to customize accessories and bags for daily riding or touring needs. Disc brake, B&M light system for added safety elements. Sporty ride quality, reliable control and inspiring versatility. Lissom enables you to enjoy the journey and reminds you of the joy of riding. Visibility is at the forefront with integrated daytime and nighttime lights. 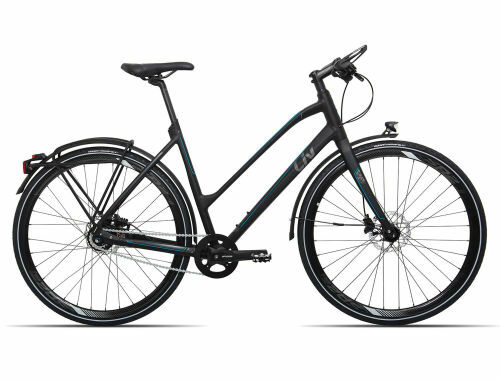 With an integrated rack system and disc brakes, Lissom is ready to tackle any city adventure.